From bathroom and kitchen remodels to full home renovations or additions, don’t trust your most valuable investment to the local handyman around the corner. At Spectrum Contracting, we are a full service home remodeling company and general contractor specializing in a variety of home improvement services including: Basement Finishes, Room Additions, Kitchen and Bathroom Remodels, Historic Home Renovations, and Insurance Water and Fire Restoration. As a locally owned Dayton Home Remodeler, Spectrum Contracting is a second generation home building company specializing in remodeling in Dayton, Springboro, Centerville, Bellbrook, Oakwood and Northern Cincinnati. For a complimentary consultation on your home remodel project in Dayton, email Dayton General Contractor, email Scott Diorio or call 937.477.7325. Don't just take our word - see what our clients are saying! As a home building professional, it was important to us that the contractor we worked with someone who was also an industry professional. We loved that Scott was a second generation home builder who know who and where to go for everything we needed during our home remodel in Springboro. When it was time to remodel the kitchen of our Centerville Home, we had two requirements – Requarth for the design and Spectrum Contracting for the construction! We have everything we could ever possibly want from gas cooktop to double sinks to wine racks! What a great experience and a great investent in our home! Click here to see our video! Stay up to date on the latest industry news on home remodeling and renovations. experts at HGTV and the National Association of Realtors, springing for a kitchen or bath remodel is a sure-fire investment, often returning more than 100 percent of the cost! In Baltimore, for inst ance, a $9,400 bathroom remodel recouped 182 percent of its cost at resale, according to Remodeling’s 2004 study. The markets in Washington, D.C., Minneapolis, Chicago, Atlanta, San Francisco and San Diego also offered triple-digit returns on a bathroom remodel. 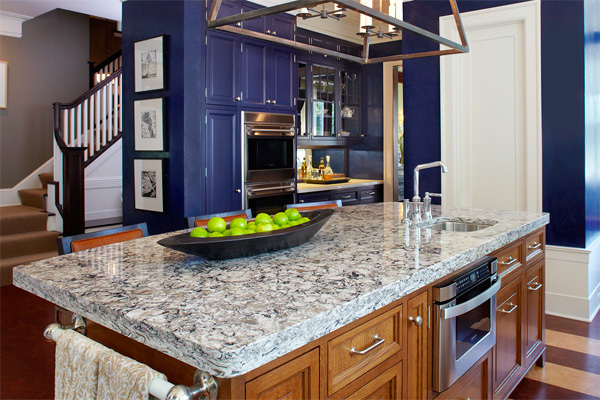 Minor kitchen remodels (average cost: $15,273) also provided returns of more than 100 percent in cities including Providence, R.I., Miami, New Orleans and, of course, San Diego, where a $17,928 investment netted $27,000 on resale. It’s time for fall cleaning and remodeling! Many homeowners are now choosing to remodel their current home rather than selling in an effort to hold home values in the U.S. housing market. To execute the strategy successfully, most projects require professional help and Better Business Bureau (BBB) is offering advice and guidance on finding trustworthy contractors who can help make the strategy pay off.